Lazada recently shared some details regarding its recently concluded 11/11 campaign, their biggest sale of the year. 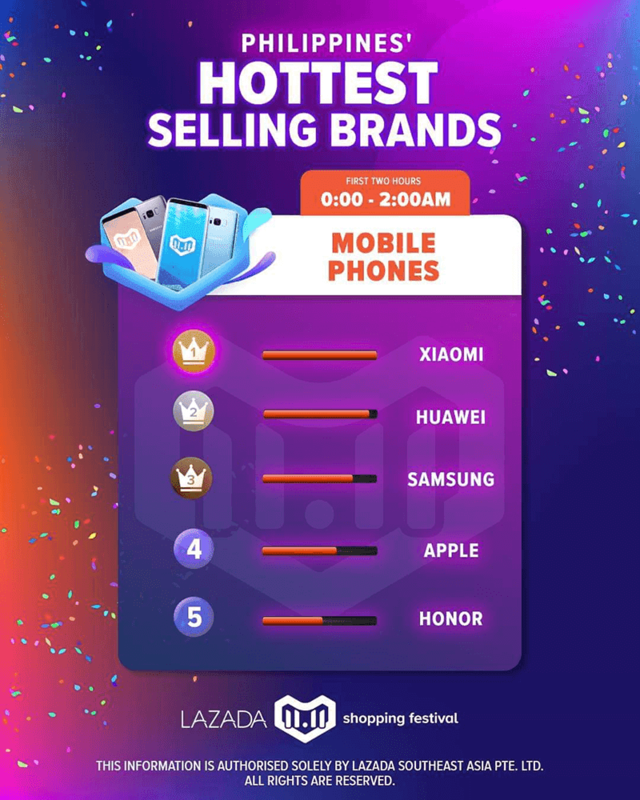 For the first two hours of its sale, Lazada stated that Xiaomi topped all other smartphone brands as the hottest selling brand for mobile phones. The best sellers of Xiaomi are the Redmi S2 and the POCOPHONE F1. Arguably, the POCOPHONE F1 is the best value for money device in the under PHP 20K price range. Huawei is the number 2 brand. Most likely, it is due to the first day of sale of the new Huawei Y9 2019 and MediaPad M5 lite yesterday. Huawei is followed by Samsung, Apple, and Honor for the number 3, 4, and 5 spots, respectively. 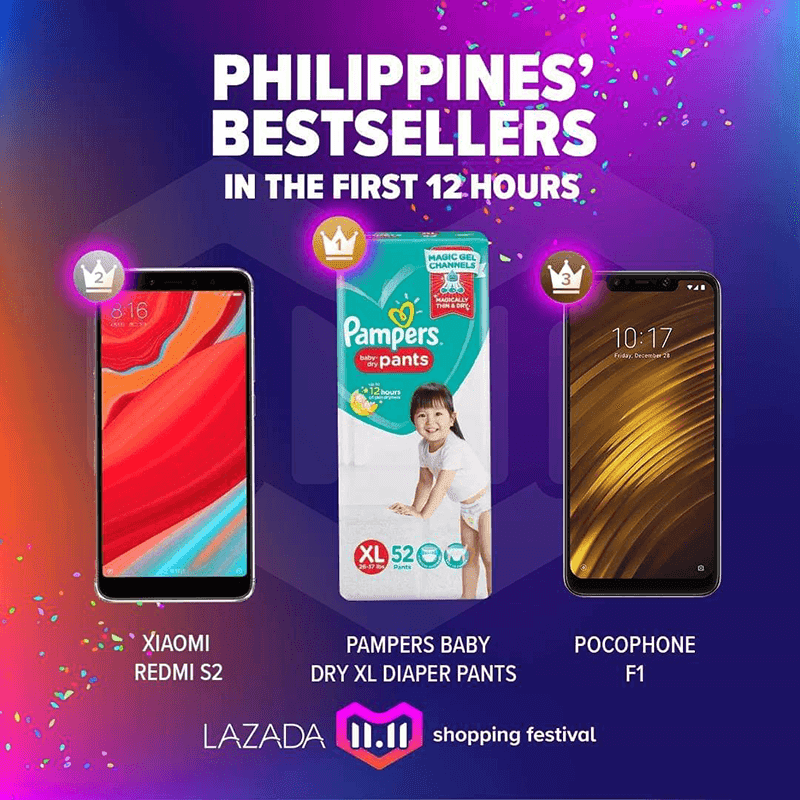 Xiaomi also grabbed the number 2 and number 3 spot of the Philippines' bestsellers in the first 12 hours at Lazada, Unsurprisingly, the the Xiaomi Redmi S2 and POCOPHONE F1 grabbed that spot. But surprisingly, the overall best selling item at Lazada's 11/11 campaign is not a gadget. Pampers got the number 1 overall spot with the Baby Dry XL Diaper Pants.